Since 1987, Vantage Mobility International (VMI) has become one of the leading producers of wheelchair accessible vehicles (WAVs) in North America. Their goal is to build leading-edge mobility products that meet the needs of their customers, while also providing customer services that demonstrate their genuine care for the wheelchair user community as a whole. We asked VMI’s CEO, Doug Eaton, to share his thoughts on the future of mobility products, the importance of user research, and how self-driving vehicles will change the game. 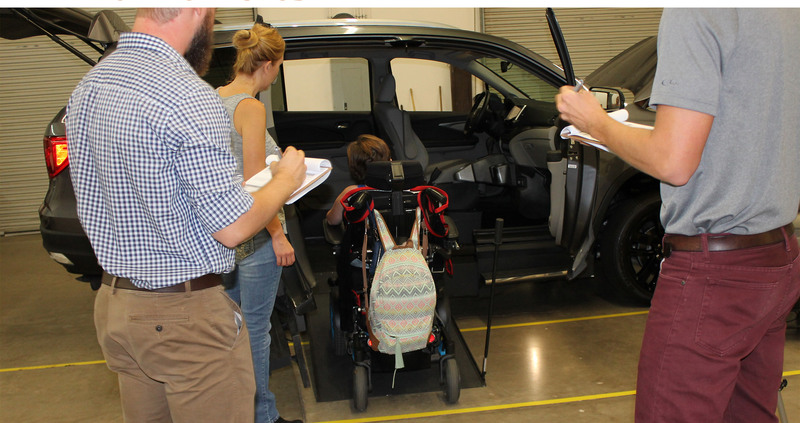 What is your vision of the future of wheelchair accessible vehicles? How do you see self-driving/autonomous vehicles impacting your customer? VMI’s vision is a wheelchair accessible vehicle (WAV) in the driveway of every wheelchair user. In the future, VMI will no longer offer conversions to OEM vehicles. We will design and market a range of purpose built, OEM, autonomous, electric vehicles that meet a wide range of applications from small, battery-operated urban dwelling vehicle’s for $15,000 all the way up to full family, highway-legal vehicles that sell for $80,000 and a range of vehicles in between to meet all major price and application categories. The most exciting breakthrough in our industry will be the independence our customer will gain through self-driving WAVs and VMI will be a leader in the field. Today, paraplegics and quadriplegics who currently want to purchase a WAV have to purchase complex driving systems, which typically push the price tag over $100,000. Further, people with these types of disabilities who want to drive have to go through an extensive driving certification process. Even with the best training and equipment, due to their physical dexterity, they have a much higher likelihood of getting in a serious accident. In 20 years, quadriplegics and paraplegics will be able to experience independence due to self-driving WAVs. What have you learned from doing user research with people in wheelchairs and their families? How has research impacted what you are making? VMI has gained market advantages and improved our culture through the research process. The market advantages are coming through designs that have come directly from the customers. This has resulted in market share gains that are critical to being an industry leader. The culture has improved because our employees feel that we are doing the right thing engaging customers in research and it feeds the passion they have to serve customers and improve their lives. What advice would you give to anyone designing for people in wheelchairs? Go directly to the customers for your research. Engineers, dealers, employees, suppliers, etc. all want to be a part of the design process. Although they do have ideas and should be included in the research process, but if they aren’t actually disabled and don’t use the product, they shouldn’t be the primary research subject. There are severe consequences for missing the goals of a major product launch and the most significant way to collapse is failing to meet the customer’s needs. Finally, we like to have “Wild to Mild” brainstorming exercises from time to time. Research Collective has helped us develop a concept that is now in prototype and will go to development soon. It’s a radical, game-changing design that can immensely improve the lives of our customers and improve VMI’s market position. This would never have happened had we not empowered people to participate in a session where they could dream without limitations and constraints. How has VMI benefited from working with Research Collective? Research Collective has a stellar team. Give them your project and requirements and you’ll get a response and path to achieve your user research goals quickly. Most importantly, you’ll get quality results in time and within budget. To learn more about VMI, please visit their website. To read about our work with VMI, please read our in-depth case study.